The brands you choose will send a clear message to manufacturers, so as you dash to the shops for your last minute purchases, here’s some resources that can help you make a palm oil free choice. 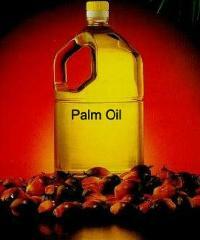 Palm oil is an edible plant oil, high in saturated fats, that is derived from the fruit of the oil palm tree. It’s the world’s most widely used vegetable oil and can be found in processed foods like chocolate, hot cross buns, biscuits, chips and ice cream. According to figures from the Roundtable on Sustainable Palm Oil (RSPO), palm oil can be found in up to 50 per cent of the packaged food products on our shelves. It can also be found in many cosmetics, lipsticks, shampoos, conditioners and moisturisers. Six of Australia’s biggest palm oil manufacturers and retailers have been assessed for the first time in WWFAustralia’s Palm Oil Buyers’ Scorecard – giving a snapshot of the sustainability of palm oil in products manufactured and sold by Cadbury, Coles, Goodman Fielder, Nestle, Unilever and Woolworths. “Ninety seven per cent of our palm oil comes from Indonesia and Malaysia – places with incredibly important rainforests and wildlife habitats,” said WWF-Australia CEO Greg Bourne. 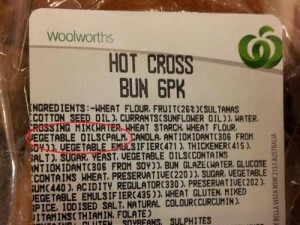 In Australia, palm oil is labelled as vegetable oil, offering consumers no way of knowing whether or not their shopping choices are contributing to deforestation and habitat loss. If your shopping basket includes packaged products like bread, biscuits, chocolate, chips, sandwich spreads, instant noodles, shower cream and shampoo, then it’s likely you are buying palm oil. Palm oil and its derivatives are present in half of all packaged foods on our shelves. This is because it is stable at room temperature and has a longer shelf life than butter or other vegetable oils. Palm oil is used as a shortening to make biscuits and breads. It is also used for deep fat frying. Palm oil derivatives can be used in cosmetics because they make products like shampoo creamier. 2015 saw the release of the long awaited Palm Oil Investigations (POI) palm oil barcode scanner app. The app is free to download and available to anyone concerned about the impact of unregulated palm oil supply used in products. Get scanning when you’re at the supermarket next and see if your favourite items are palm oil free. It will make it easier for you to choose which products to purchase at the supermarket with the app telling you immediately whether the product contains palm oil and if so, if it has been sourced ethically. What is The Problem With Palm Oil? Palm oil only grows in the tropics, where, if cultivated in an unsustainable way, it can have negative impacts on people and the environment. These include indiscriminate forest clearing, habitat loss for threatened and endangered species, poor air quality from burning forests and peatlands, and threats to the rights and interests of local communities. A report published in 2007 by the United Nations Environment Programme (UNEP) acknowledges that palm oil plantations are now the leading cause of rainforest destruction in Malaysia and Indonesia. Of even greater concern is the fact that demand for palm oil is predicted to increase, and forests constitute most of the remaining suitable areas for plantations. 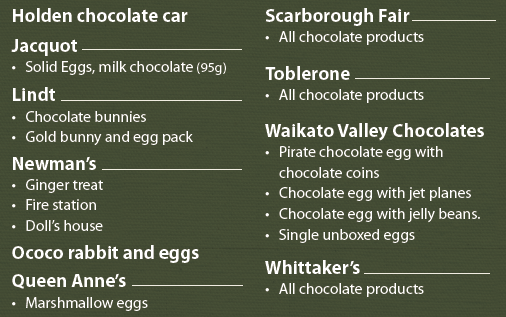 Often the loss of wild animals on other continents seems too far away for us to do anything positive about, but it appears we can help by simply abstaining from purchasing chocolate containing palm oil–especially when there are palm-oil free options readily available. 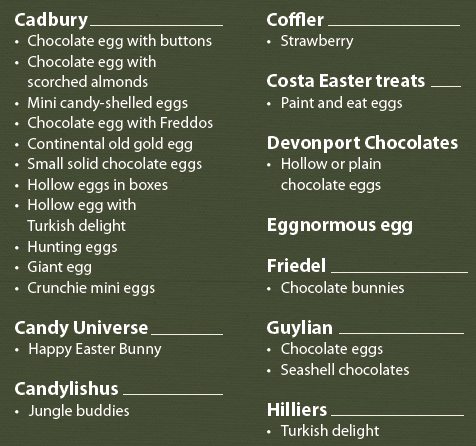 Even better, making your own chocolate this Easter will be even more satisfying. Check out the great recipe here. So for this Easter and going forward, you can do your part by choosing to buy only palm-oil free products.